Local fight fans won’t have far to travel to be part of the crowd supporting Nottingham-born Chad ‘2 Slick’ Sugden when he returns to the ring later this month. Making his pro boxing debut on home ground, the Suggy’s Gym 23-year old will be fighting on the card of Boxing Returns To The Banks at Bingham Leisure Centre on Saturday 24 June, moving up to Light Heavyweight to take on Latvia’s number one ranked boxer Raimonds Sniedze. “After a few months out of the ring, we wanted our focus to be on getting fit rather than on losing weight at this stage, although our intention is to return to Super Middleweight for the next one,” explained head coach and manager, Dean Sugden. “In Raimonds, Chad will be up against a tall and game opponent with an impressive pro boxing record of 12 wins with 8 KOs. But at Suggy’s Gym we like to keep it real, to put our fighters up against opponents who are going to test them and that’s why they all get such a strong following every time they fight. Originally scheduled to fight in Bingham in February, Chad was forced to withdraw from the card when his opponent pulled out due to illness. “As always, we did our best to go forward with a new match up and I was gutted when we had to make the decision to withdraw, not only for myself but for all the fans who had already committed to supporting me on my own turf,” he said. “So I’m delighted to get a second chance to showcase my skills this close to home and we’re leaving no stone unturned preparing for it. I’m bigger, stronger both physically and mentally and we know exactly where we’re at with this camp. 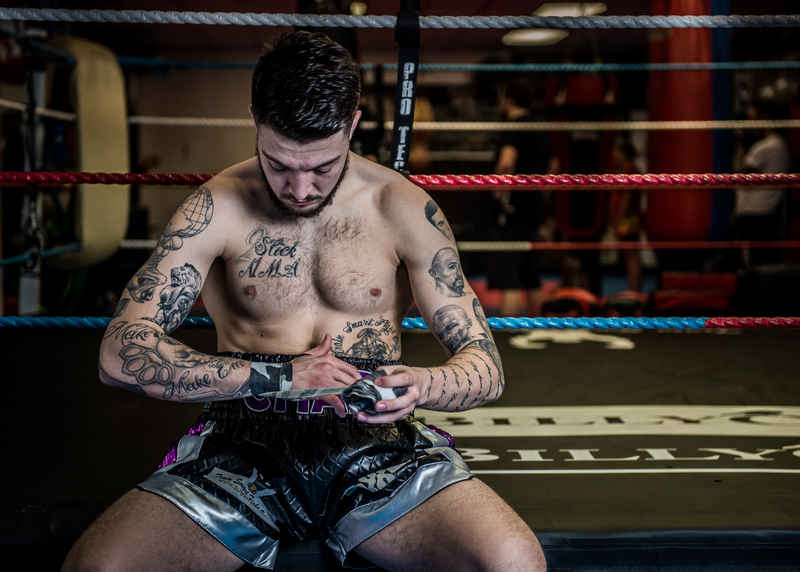 The Bingham card also features five more of the best fighters in the county and with so much local talent on the show, tickets are being snapped up quickly. “We have a limited number still available but it will be first come, first served so anyone wanting to join us in Bingham needs to get in touch as soon as possible,” added Dean. Tickets for Boxing Returns To The Banks are £60 VIP Ringside and £35 Standard, on sale from Suggy’s Gym in Newark or via the ticket hotline 07816 840920. Doors open at 7pm, with the first bell at 8pm, and a fully licensed bar and food will be available throughout the evening.